Situated in the leafy suburb of Karen Bankhouse Karen offers guests a comfortable and relaxing stay while visiting Nairobi. It is ideal for couples or groups visiting the capital city of Kenya. 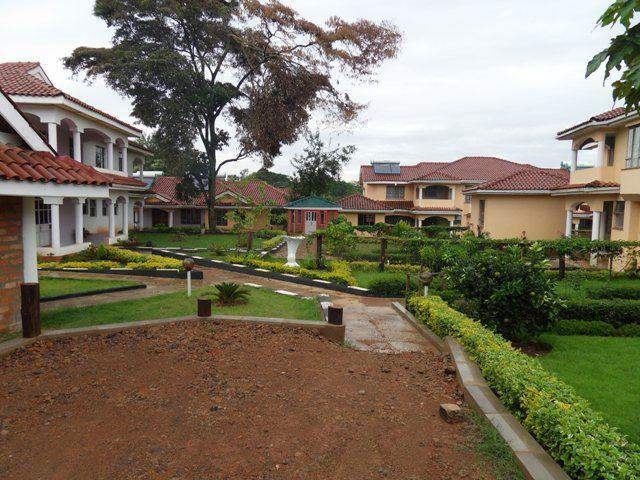 This spacious house has 36 well-appointed rooms of which all have a variety of bed configurations and en-suite bathrooms. Each room also has large windows which not only provide plenty of natural light but also allows guests to appreciate the garden views. Guests can enjoy a delicious breakfast before exploring what this city has to offer. The more active guest can make use of the gym facilities or visit the Karen Country Club. End the day off by enjoying a scrumptious meal before relaxing in the comfortable lounge area. Airport transfer from Nairobi Jomo Kenyatta International airport or Wilson airport to Bankhouse Karen or transfer from Bankhouse Karen to Nairobi Jomo Kenyatta International airport or Wilson airport.